Manufacturer & Exporter of Iranian Saffron. 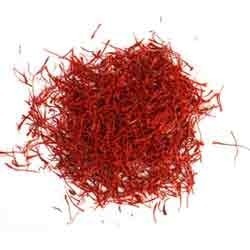 Our product range also comprises of Kashmiri Kesar, Kashmiri Saffron. The range of Iranian Saffron made available by us in the market, is known to be one of the finest options available in the market. Our abidance of the set industry norms and guidelines, have helped us is the maintaining of its standard of quality of this impeccable range. Further, the offered product is known to be marked at the most reasonable rate possible.